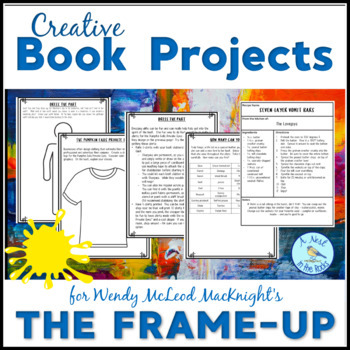 Book Club Projects to Accompany Wendy McLeod MacKnight's "The Frame-Up"
ELA Bundle for Wendy McLeod MacKnight's "The Frame-Up"
Wendy McLeod MacKnight's book "The Frame-Up" is the perfect choice for kids in book clubs to read, discuss, and use for artistic inspiration! 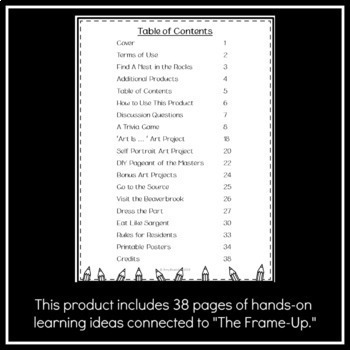 This product is full of directions for hands-on learning projects and ideas to connect the story to interdisciplinary learning. - ideas for adding book-related food to your event. 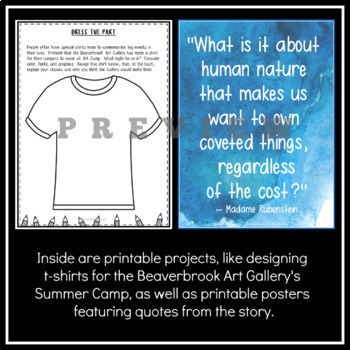 This product is full of hands-on lessons that are suitable for upper-elementary, middle-grade, and homeschool students. 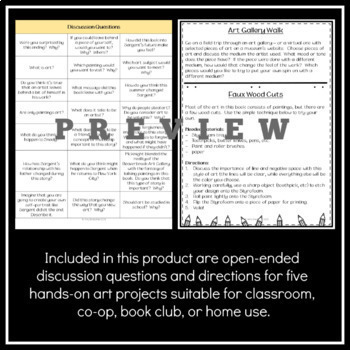 They could be used in a variety of ways, including book clubs, literature circles, whole-group lessons, and in co-ops. Please ask any and all questions before purchasing. I answer as promptly as possible. These files are not editable. Tara Dairman's "All Four Stars"
Jennifer Chambliss Bertman's "Book Scavenger"
Beth Fantaskey's "Isabel Feeney, Star Reporter"
Elise Broach's "Missing on Superstition Mountain"
Chris Grabenstein's "Mr. Lemoncello's Library Olympics"
Elise Broach's "The Wolf Keepers"
Intended for individual or single classroom use ONLY. Click the green 'Follow Me' button above to receive notifications about sales and new products being added to the A Nest in the Rocks store.